With online shopping dominating the retail space, stores like Amazon.com are causing brick and mortar stores to go out of business. While malls filled with stores do still exist in Florida and many parts of the country, many stores are shutting down, leaving these empty retail spaces deserted. The future of malls is changing, thanks to business leases that aren’t focused solely on retail space. Shopping malls just aren’t the same as they were a few decades ago. Many retailers are struggling to survive. Even heavy-hitters like Macy’s and Sears are shutting down. This has caused entire malls to shut down. Of the 1,200 malls left in the United States, approximately 300 will be closed down in the next five years. So what will happen to this unused space? Putting new stores in them does not make much sense, nor does tearing down the building. Malls are reinventing themselves in beneficial ways. For example, UF Health will soon be moving into The Oaks Mall in Gainesville, taking over the space once occupied by Sears. UF Health will feature health care services such as audiology, ophthalmology and ear, nose and throat. Given the mall’s location near Interstate 75 and North Florida Regional Medical Center, UF Health’s new location may be ideal for additional health clinics. Malls across the United States are expanding and changing in other ways as well. Instead of a building filled with pointless retail stores, malls are bringing in housing, art galleries, churches, corporate offices and indoor sports centers. Some malls have been turned into apartments and senior housing. Others are turning into medical clinics. With the face of retail changing, malls are not the same places they were when you were a child. Retailers are finding it hard to compete with the likes of Amazon, Walmart and Target. It’s not unusual for mall stores to close down within a year of opening, leaving more and more empty space. Malls take up a lot of space and are not well-liked in many communities. They affect a community’s culture, so when they close down, not many mourn the passing. Now that closed malls can reinvent themselves as useful businesses, those in the community will find that they have more options. Given that Gainesville is a retirement community, perhaps senior housing may be in The Oaks Mall’s future. There are many options to consider rather than large buildings surrounded by a sea of parking. Empty retail spaces do not necessarily need to be filled with new retail tenants. Filling these spaces with housing, auto manufacturers and health care clinics gives them a more important role rather than filling it with an unknown knickknack store. 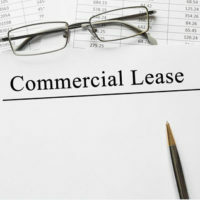 If you are considering becoming a landlord or tenant in the field of business leasing, don’t do it on your own. Seek legal help from Orlando business leasing lawyer B.F. Godfrey from Godfrey Legal. He can help you navigate through the ins and outs and ensure that everything has been covered in the lease. Schedule a consultation today by calling (407) 890-0023 or filling out the online form.